We understand the emotional roller coaster families experience as a loved one’s memories fade. The Phoenix at Roswell offers personal care with compassion for those experiencing Alzheimer’s and the various forms of dementia. The Phoenix at Roswell has a designated Memory Care Neighborhood that provides comfort and security in a home like environment. 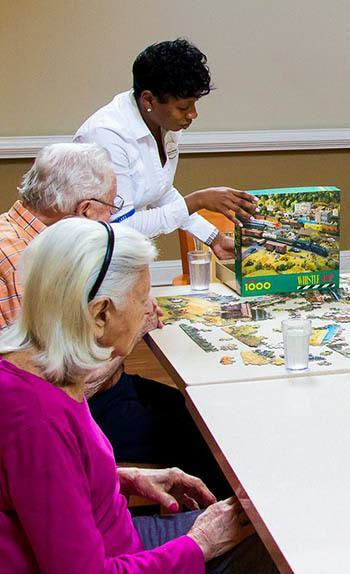 Our Memory Care Neighborhood supports each resident’s abilities and affirms dignity and self-esteem. The Phoenix at Roswell team honors the philosophy that cultivating a purposeful day yields a successful day. We believe that transitioning into our welcoming community isn’t about reclaiming your old life, rather defining your new life. Schedule your visit today.